and .... not as much press.... wrong time zone I guess...... FIFA U-20 World Cup - is rolling through the final 16 stage. We'll start the 2015 - 2016 football season soon. Here are the fixtures for next year's Premier League. It will be interesting to see how Norwich, Watford and Bournemouth go this season, considering Villa are rubbish, and Newcastle have bucket load of issues. Any bets on QPR coming back in a season, without a manager like Harry R. ? 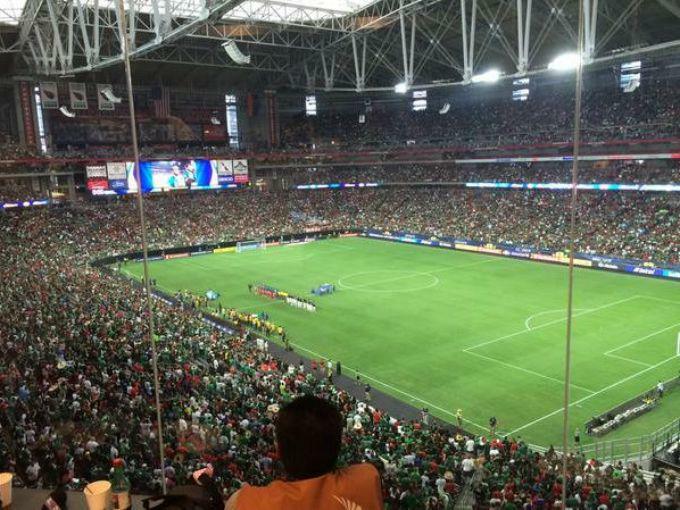 I'm still not into soccer and Phoenix doesn't have an MLS team, but there were couple of Gold Cup games in the city and looks like a pretty decent sell out crowd at University of Phoenix Stadium. ...but does he have the legs for English football? Manchester City are on the brink of signing Sterling from Liverpool for a fee of £44m, potentially rising to £49m, plus £200,000 a week on a five-year deal.